These twin/multi fold aluminium wheelchair/scooter and pedestrian ramps will make life that little bit easier. They fold length and width ways and can be carried like a suitcase. They come complete with a carrying handle and two location pins to hold the ramp together when being carried. They have plastic feet for use indoors and non-slip rubber strips under the top lip. Easily set up in seconds, this twin multi-fold aluminium folding mobility ramp will make life that little bit easier. 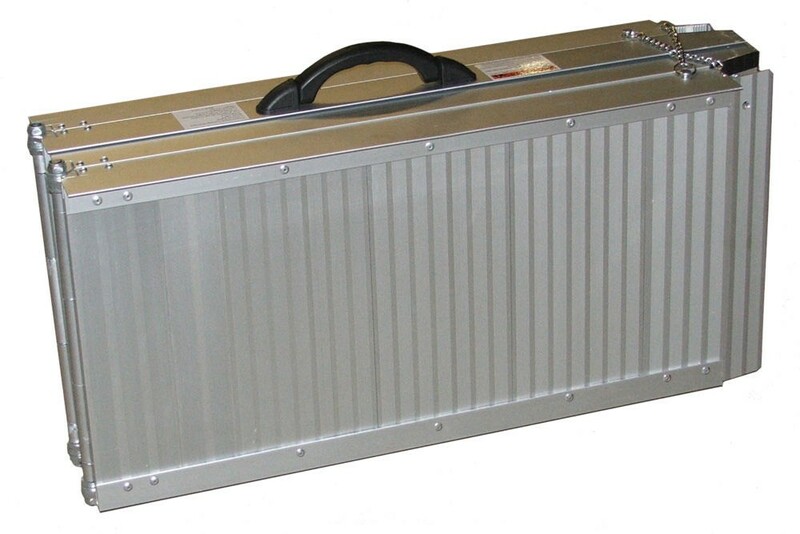 For use with wheelchairs or scooters, these are high quality, corrosion resistant ramps that can be folded up and can be carried like a suitcase. When folded, these compact ramps can fit neatly into the boot of most cars. 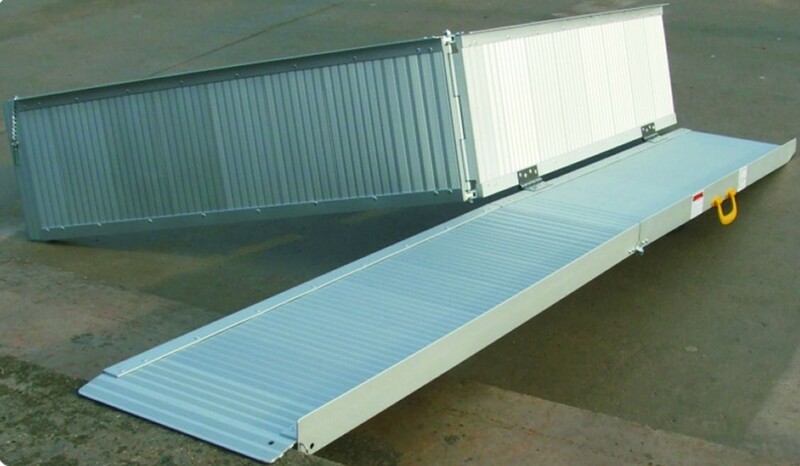 Provided complete with their carrying handle, the ramps are held securely in place by two location pins when carried. This model is supplied with plastic feet for use indoors and non-slip rubber strips under the top lip. It is available in 5ft 6ft, 7ft and 8ft lengths. Available in either 5' (1270mm) 6' (1524mm) 7' (1828mm) or 8' (2438mm) sizes.